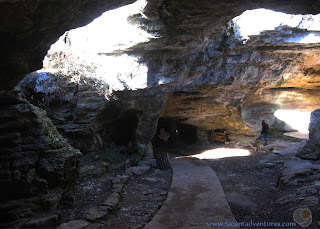 Longhorn Cavern State Park has wonders above and below ground. The cave contains many fascinating features that were carved by an underground river. The surface of the park has medieval looking buildings built from stone by Civilian Conservation Corps workers. Everything makes you feel like you stumbled into a fantasy realm. Location: 6211 Park Road 4 S Burnet, Texas. Burnet is about 90 minutes northwest of Austin. Cost: Admission to the above ground part of the park is free. 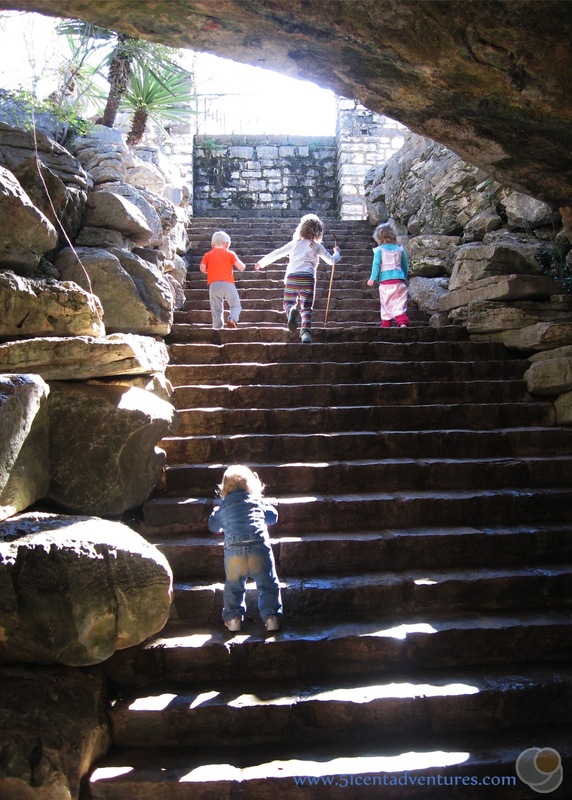 Cave tours cost $16 for an adult and $12 for children from age 2-12. Children under 2 are free. Operating Seasons and Hours: The park is open from 8:00 to dusk every day. Cave tours depart every hour between 10:00 to 3:00 on weekdays and 10:00 to 4:00 on Saturday and Sundays. This is part of my list of Texas Hill County Day Trip Ideas. My family lived in Fort Hood, Texas from January 2013 until April 2015. I loved Texas, but unfortunately, a lot of our time in Texas was defined by what we couldn't do. When we moved there our twin girls were two years old and our son was 9 months old - and then I found out I was pregnant again. We tried to see as much of the state as we could, but somethings were just impossible to do while pregnant and wrangling three toddlers. Things didn't get much easier after our youngest daughter was born either. My husband's Army unit was sent to Korea when our youngest was 4 months old. The kids and I survived and even sort of thrived during the time my husband was gone. (I called it Sur-thirval.) But exploring Texas wasn't one of my priorities. When my husband came back home from Korea in the middle of October in 2014 we immediately started making up for lost time. The first chance we got we headed out on a six-day road trip along the Texas Coastline. After that we usually went somewhere every other weekend. 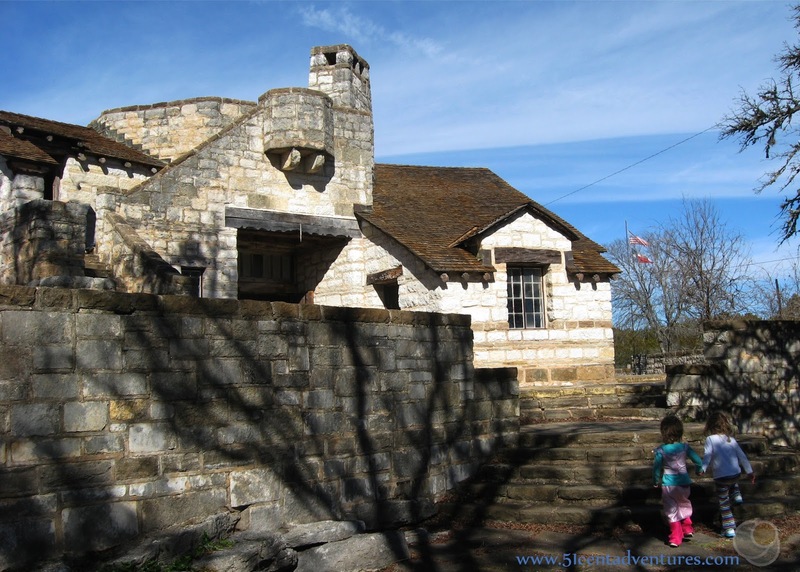 We wanted to see as much of Texas as possible before we moved to Fort Rucker, Alabama. 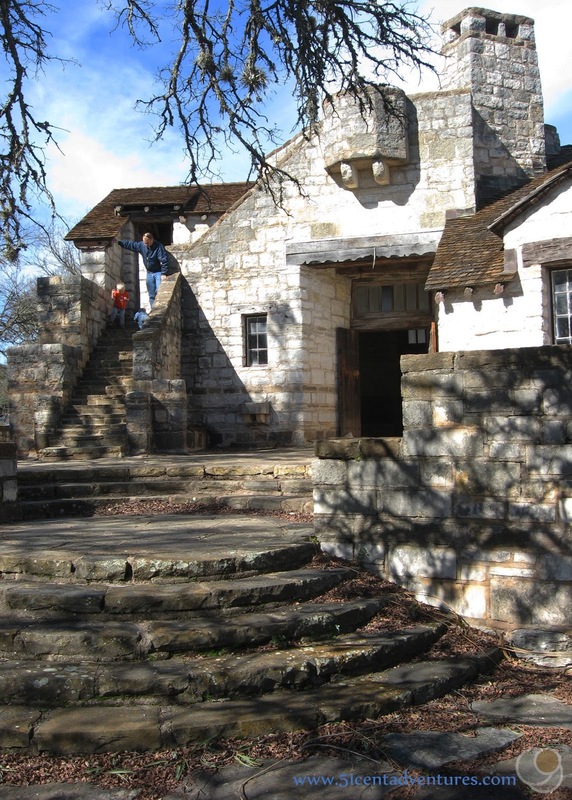 When Martin Luther King Day weekend rolled around in January of 2015 we decided that we wanted to explore the area west of Fort Hood. This was a direction we really hadn't traveled before. I wanted to see Enchanted Rock near Fredricksburg. 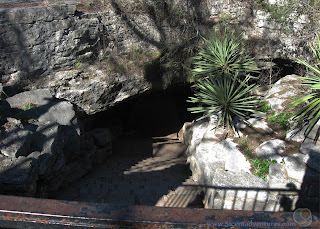 I also wanted to check out Longhorn Cavern State Park which was sort of on the way. 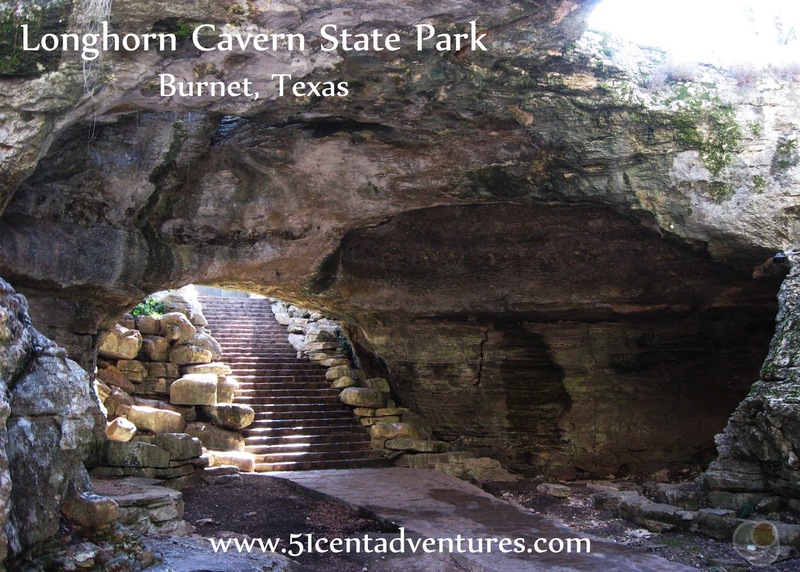 So we set out from our home on Fort Hood and drove to Longhorn Caverns near the town of Burnet which was about an hour from our home. I can't really remember when I decided that I wanted to see Longhorn Caverns. Whenever it was, I didn't do much prior research into what the park was actually like. Honestly, I might have just seen the state park on the map while we were driving and decided we might as well stop there. Basically I had no idea how much the tour of the caverns would cost. My husband and I were also not sure how well our kids would do on a cave tour. All the kids could walk on their own, but we didn't know how they would react to being underground. We were willing to pay about $6 a ticket to see how well our kids did on a cave tour. Anymore than that wasn't worth it to us. Well, it turned out the cave tours were $16 for an adult and $12 for any child over the age of 2. That meant that we'd have to pay for three of the four kids. We would have had to pay $68 for all of us to go on the tour. That was an automatic nope. The park itself was free so we spent a little bit of time exploring the above ground features. We had a quick picnic lunch and then walked down to the cave entrance. And this itself was actually pretty cool. Most of the structures in the park were built by the Civilian Conservation Corps in the 1930's. They used a lot of local stone to build buildings, arches, and staircases. 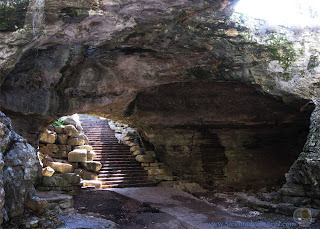 Check out this amazing staircase that led down to the cave entrance. The stairs led down into a grotto. We went down there and it was like we were in some sort of medieval castle. This is where the actual cave entrance was. Part of me wished we could go on the real cave tour, but I was also pretty content with letting the kids explore this area. They all had a great time running around the grotto and climbing up and down the stairs. When we were done with the grotto we went to explore one of the buildings built by the CCC. My girls pretended it was a castle and that they were a prince and princess. We were able to climb the stairs to an observation deck on top of the building. The kids played around for a while, but before too long we decided we needed to continue with our drive to see what was west of Fort Hood. So we got back in the car and headed toward Enchanted Rock. Recommendation: I'm a little leary of giving a recommendation for Longhorn Cavern State Park since I didn't actually go on the cave tour. However, I will say that the free areas of the park are very pretty and are worth visiting. From what I've heard about the cave tour it is worth the money. And actually $16 for an adult ticket is $3 less than most cave tours in Texas. If we still lived in Texas I would for sure come back here with my kids now that I know they like cave tours. Directions: There are a variety of ways to reach Longhorn Cavern State Park. 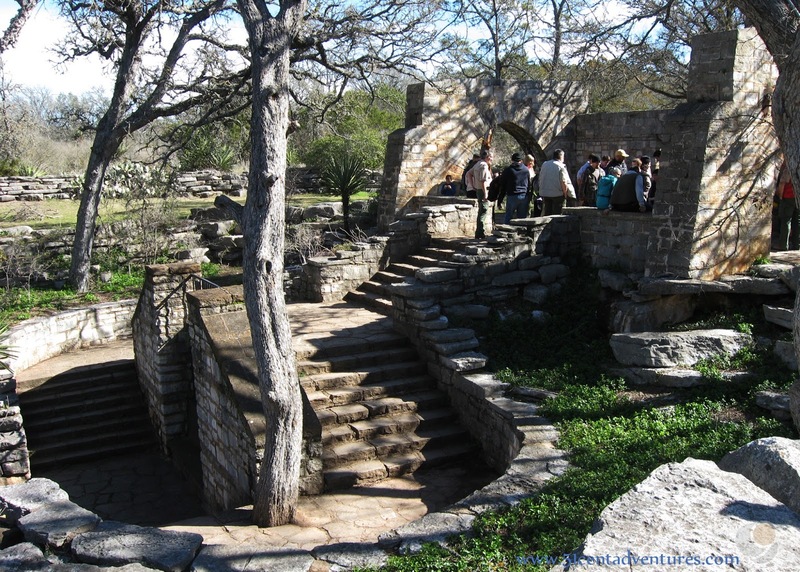 One is to travel on Highway 281 and then turn onto Park Road 4 S. This will lead you right to Longhorn Caverns. Places Nearby: If you like water activities then you should plan on checking out Ink's Lake State Park and Buchanan Lake. Both of these are less than 10 miles up the road from Longhorn Cavern State Park. Next Stop: It's probably a good thing we didn't go on a cave tour. We were able to save our energy for what I really wanted to do that day which was climb Enchanted Rock.